In most cases, the air quality inside automobiles on most roads is worse than the outside air. Exhaust fumes from other vehicles enters the passenger compartment leading to frequent and/or long exposure to highly contaminated and concentrated airflows. This condition of bad cabin air has a serious effect on health, safety and comfort of the passengers and is also shortening life of vital systems and components in the vehicle. 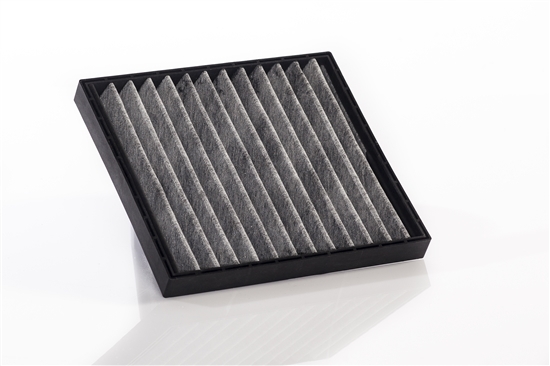 Our cabin air filters are specifically designed to retain particles, soot, exhaust fumes and pollen. These filters are made of a high efficiency pleated filter medium fixed into a frame of polypropylene. The frame is custom designed for one-click snapfit into the vehicles air duct system. Our range of cabin air filters can be adapted to each type of vehicle.